I took everyone’s remarks seriously, and set to work immediately. I wasn’t the only one. I now have one collaborator. Thanks, Freewheel, for joining me on this difficult project. 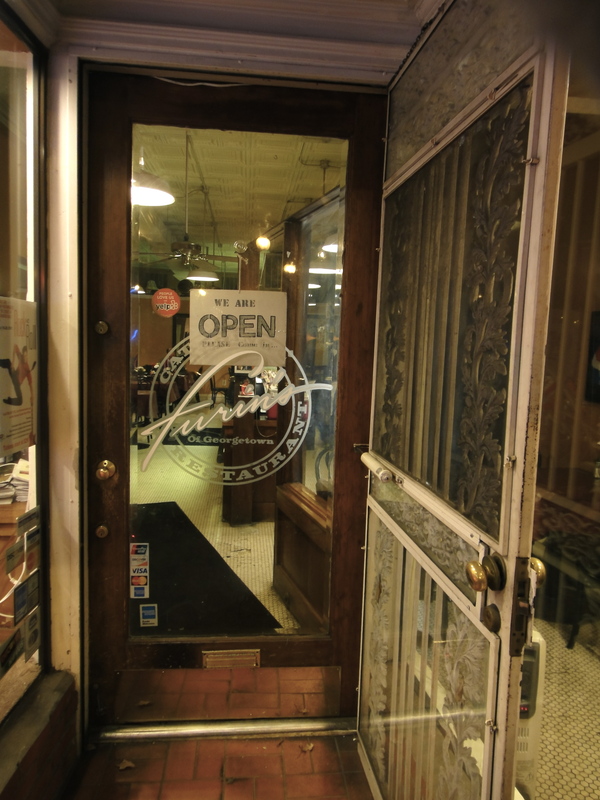 Recently, I stopped by Furin’s in Georgetown. If you have not been there, it is worth a trip. They make excellent cupcakes and other food treats. However, I was not going there to sample the cupcakes. No, I was there to test their to-go cupcake holder. Furin’s has two types of cupcake holders: one container stores one cupcake, and the other stashes four cupcakes. In the interest of _______ (thoroughness? impulse-buying? sugar craving? 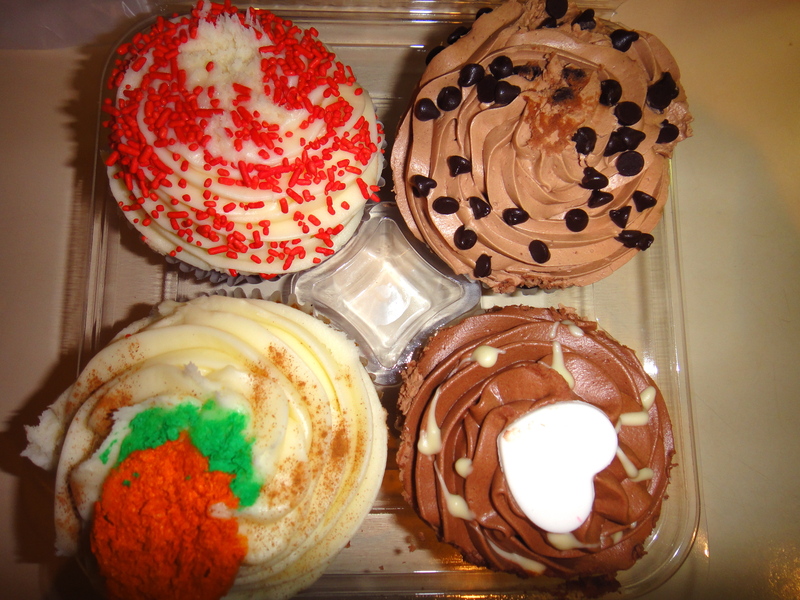 ), I purchased four cupcakes. The kind manager put them carefully into the to-go container. Here they are, pre-bike ride. 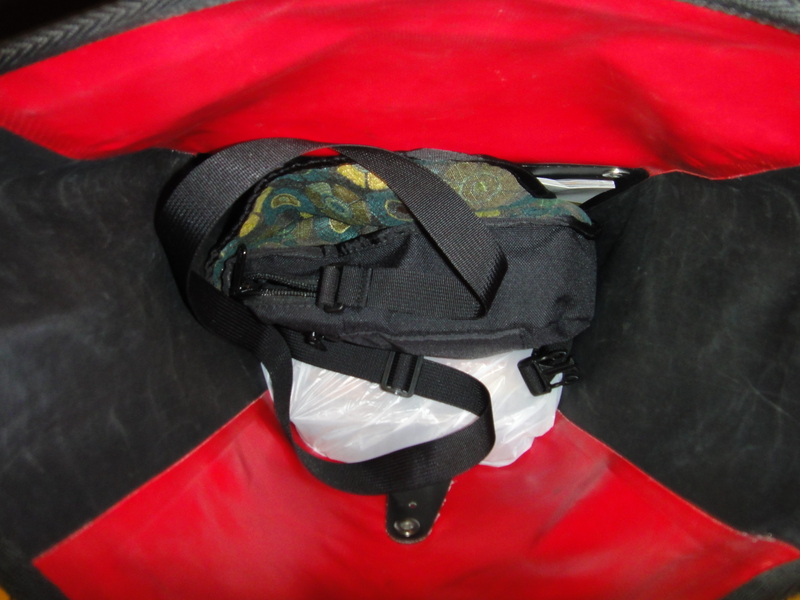 I went out to the Surly Long Haul Trucker and proceeded to unceremoniously stuff the cupcakes into my pannier. Surly LHT. Furin's cupcakes inside! I closed the pannier and took these four cupcakes on the ride of their lives! 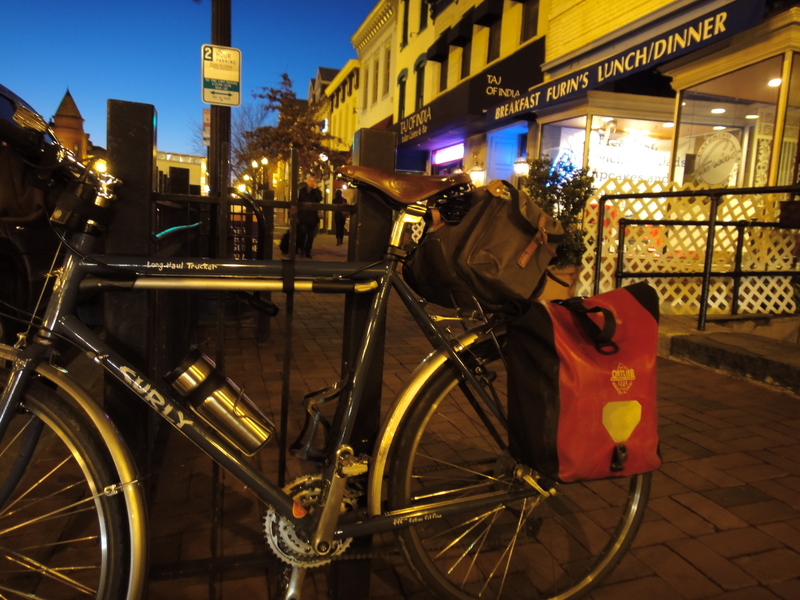 To fully test the container and the durability of the cupcakes, I embarked on an 11.5-mile “test ride.” It was great fun, and I could hear the cupcakes squealing with delight. I rode them by the Lincoln Memorial, the Jefferson, and even down the Potomac. Even though they couldn’t see anything, I know they loved it! I got home, and rushed to the kitchen to see what condition the cupcakes were in after their grand adventure. Check it out. They look pretty good. The carrot on the carrot cake cupcake is a little smooshed, but still recognizable as a carrot. In addition, the upper two (Red Velvet and Chocolate/Chocolate Buttercream ) have a little marring to their frosting. Finally, the bottom right cupcake (Vanilla/Chocolate Buttercream) looks close to perfect. Well done, little cupcakes and well done, Furin’s. There are a few reasons I think that the Furin’s to-go experiment was so successful. Temperature. Freewheel is right. Cupcakes travel better in colder weather. Stiffness of frosting. I think Furin’s frosting might be slightly stiffer and less gooey than Lavender Cupcakery’s, making Furin’s cupcakes better for transit. I will have to do another couple of tests to be sure. Positioning. These guys were solidly packed into their cupcake spaces, and surrounded snugly on all sides by plastic. Because of the lack of wiggle room, they ended up traveling much better than my Lavender Cupcakery cupcakes. Other observations and thoughts welcome. ﻿﻿My friends, that does it for this edition of Cupcake Commuting. I will keep researching your other ideas on transportation techniques. In addition, please let me know if you have other cupcake places where you think I should research. Of course, they need to be within cycling distance of the District, and they should also have a reputation for being yummy. And, if you conduct your own experiment, please let me know. I’d love to hear about it, or even post it. I really think you need to expand your research and consider accessibility. In the course of an 11 mile ride, you may need speedy access to your cupcake stash. A roll top, Ortleib (a fine pannier used on hundreds of Rootchopper Institute rides) just doesn’t cut the mustard, er, I mean frosting, when it comes to chowing down on the fly. So the cupcake transport bar has been raised. 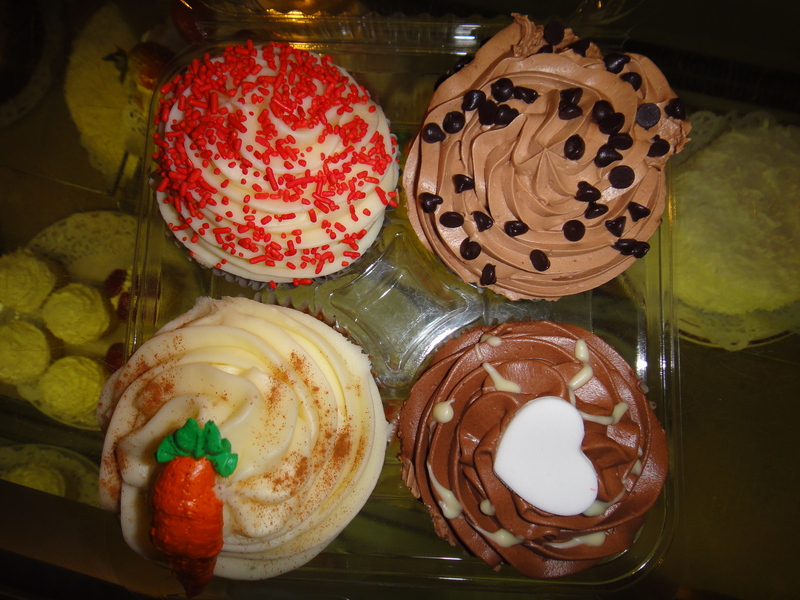 Thanks for sharing another cupcake destination! I’m on it. Charmaine, they are AWESOME!!!! You will have to try them, and they are easily accessible by bike!